Deposit Into Your Bank Account This Month? Get Started With 6 Easy-To-Follow Strategies To Bring In New Business... Almost Instantly!! Every business owner has a trick or two up their sleeve for generating quick cash in their business... ways of creating instant income when it's really needed. All designed to put cash in your bank account in just hours...days... or weeks! For years, entrepreneurs around the world have asked Janet Switzer to document the strategies she uses to bring in the cash for many of the most renowned celebrity experts in the world. Jack Canfield, Chicken Soup for the Soul, Mark Victor Hansen, Jay Abraham, Les Brown, David Bach and other clients have all benefited from these super-charged cash-flow techniques. Now you can have Janet's Instant Income strategies, too. There's absolutely no charge to find out. And, better yet, it's not another one of those sales-letter-in-disguise 'reports' we've seen so much of. Just solid information you can replicate starting the minute you download it. Janet's newest resource, the Instant Income New Business Planner, is designed specifically for entrepreneurs, employees and others who need to make cash now. Inside its pages, you'll discover a complete system of 6 easy-to-do new business strategies that are quick to execute and that bring in the money quickly, too. Instant Income can even help you if you're employed by a small business—by showing you the hidden income opportunities in your employer's company so you can negotiate a promotion or better pay for helping to bring in that cash! And if you have "just a job," but want to earn a few thousand extra on the side several times a year, you can benefit from the Instant Income Planner, too! It's a step-by-step action plan you can follow over just 10 days. Janet will walk you through determining how much new cash-flow you need, identifying which Instant Income strategies you'll use to bring in the cash, coordinating your very first cash-generation campaign, recruiting people to help and so much more. 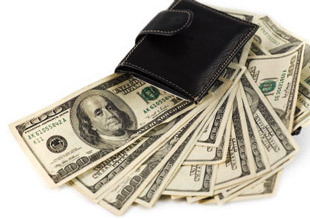 the Bonus Instant Income 10-Day Turnaround Program. my Instant Income strategies and marketing plans can change your financial future virtually overnight! The first strategy Janet developed for me turned a $572 expenditure into $31,000 in just six hours. Her second turned $1,280 into $105,000 in just six weeks. It's no wonder I've sought Janet's day-to-day expertise over the years. co-author of the New York Times #1 bestselling book series Chicken Soup for the Soul. Janet Switzer is one of the best marketing minds on the planet with a unique talent for producing profits I can bank. She's easily made me hundreds of thousands of dollars with her simple strategies. She can do the same or more for you. 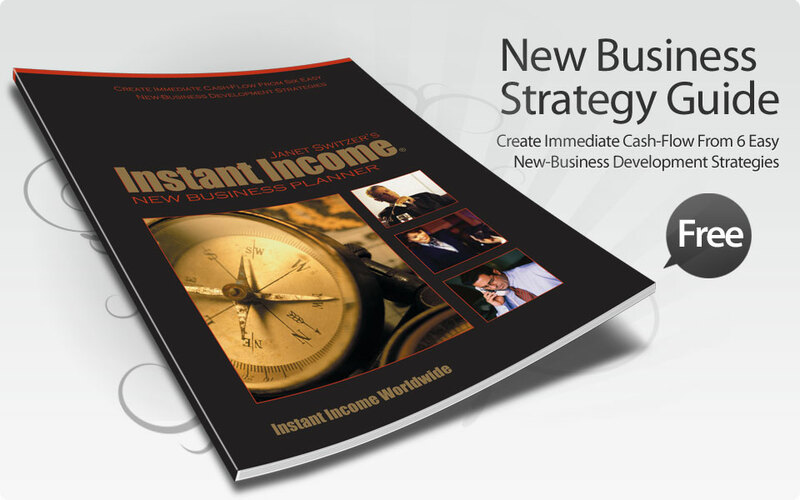 Instant Income is the Bible of making money in your own small business. Nowhere else on earth are so many brilliant easy-to-implement, money-making ideas all presented in one place.